During the SCLA/Access Fund Adopt-a-Crag Event (Fall 2007), climbers built a new trail from the Little Cottonwood Park-and-Ride. The trail provides easy access to lower canyon bouldering and climbing at the Bongeater and Crescent Crack Buttresses. To avoid traffic problems on the highway and tickets from the Utah Department of Transportation, please use the Park-and-Ride parking to access lower canyon bouldering and climbing. 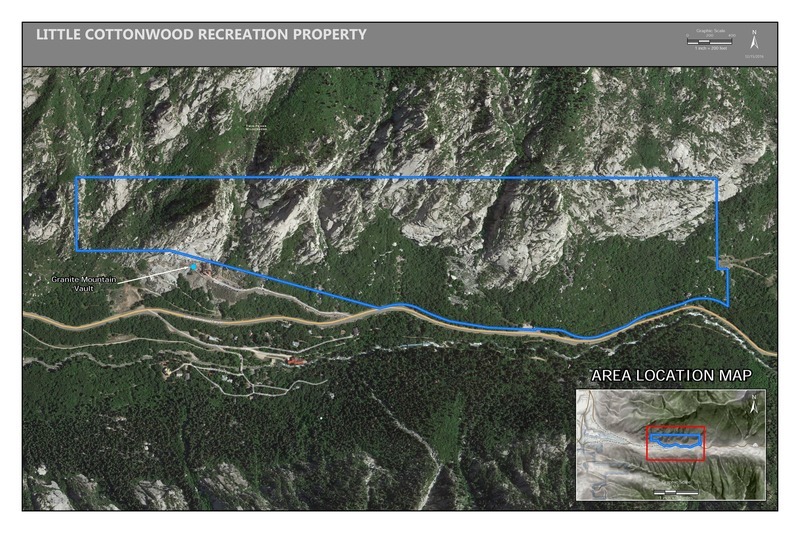 UDOT will ticket cars parked on the south side of the canyon opposite the Secret Garden bouldering area. The Secret Garden is the home of some of the hardest problems in the canyon, classic moderates, and a few projects that will make the first ascentionist famous for sure. The rock is high quality and it is a good place to warm up or burn out. All of the problems on the warm up boulder are very good and there are tons of eliminates to get your session started. Twisted (V4) is the classic moderate of the area and very worth doing. Lance's Dihedral (v6) is also a classic, try the Bear Hug Arete (V8) and find out what sand bagging really means. The v10 circuit Copperhead, Mr. Mom, All Thumbs, and Shingles are some of the best in the state. Also, if you are really feeling strong, you can give Bully (V11/12) a couple burns. For better beta and an online guide check outclimbxmedia.com or wait until spring, two guide books will be coming out. Park in the Little Cottonwood Park n' Ride lot. Locate the climber's trail that starts in the northeast most corner of the lot, directly left of the bathroom. From here follow the trail up and east until you reach your desired sub-area.